4 Bedroom House For Sale in Hayle for Guide Price £299,950. 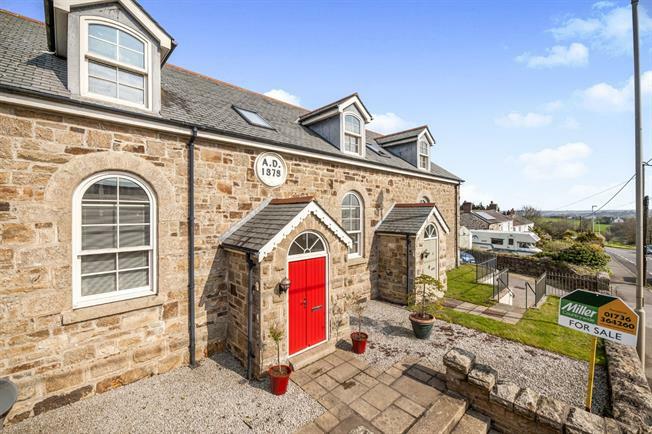 This well designed converted Weslyan Chapel is great for those seeking traditional character, space, plentiful light and room versatility all with a modern and contemporary twist. The property is warmed via gas central heating and is fully double glazed. The accommodation comprises in brief; entrance porch into main reception/dining area, kitchen, two bedrooms, bathroom and utility on the ground floor. Coupled with a further two bedrooms, family bathroom and mezzanine lounge area on the first floor. Outside to the rear is a fully enclosed rear courtyard garden. There is a designated parking space to the front of the property.